Boxed wine just went couture, with a line by Swedish company Vernissage. Designed to look like a high-end handbag, Vernissage makes your wine-to-go even easier to transport, and you can show some style in the process. 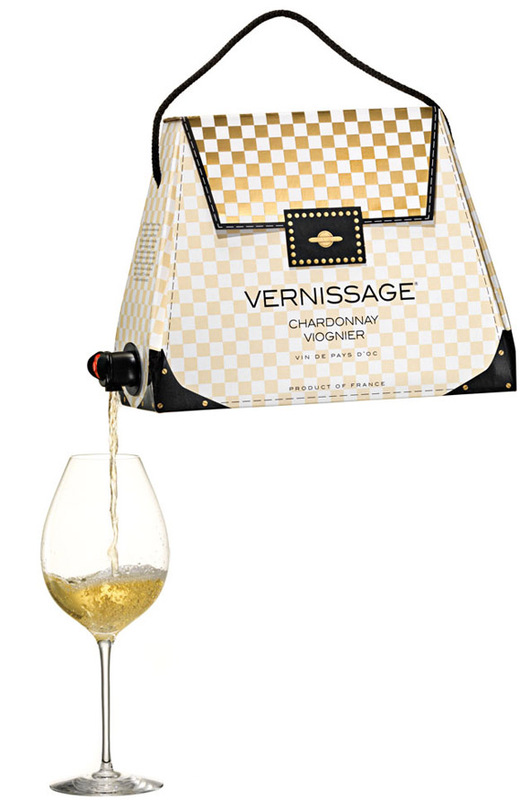 That is until you pop open the spout, and pour your chardonnay from a cardboard purse — that’s so gauche. Vernissage actually uses French wine from Vin de Pays d’Oc, and is available in red (syrah/cab blend), white (chardonnay/viognier), or rosé.